SkyFYX offers ultimate flexibility for whatever your install scenario. Whether mounting an internal antenna on the glareshield or surface mounting the GPS source on the external skin of the aircraft, SkyFYX has the perfect solution for you. Simply mount the SkyFYX remote mount receiver near the EchoUAT and tap the same aircraft power/ground source, then run the single remote antenna coax cable to your desired antenna location. 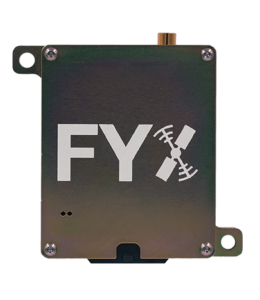 For the “all-in-one” SkyFYX-EXT, simply mount on the surface of the aircraft or any surface with an unobstructed view of the sky, then run the power/ground/GPS wires back to the EchoUAT. One unit, surface mounted offering simple installation. Since the antenna and receiver are both housed in the antenna there is no coaxial cable run required. 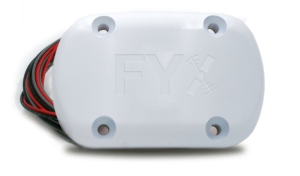 The SkyFYX-EXT is installed using only stranded wire. UTC timing output for multiple uses including UAT ADS-B medium synchronization.